On Sunday, as I usually do, I broiled a whole chicken, and then made soup in the Crock Pot overnight. 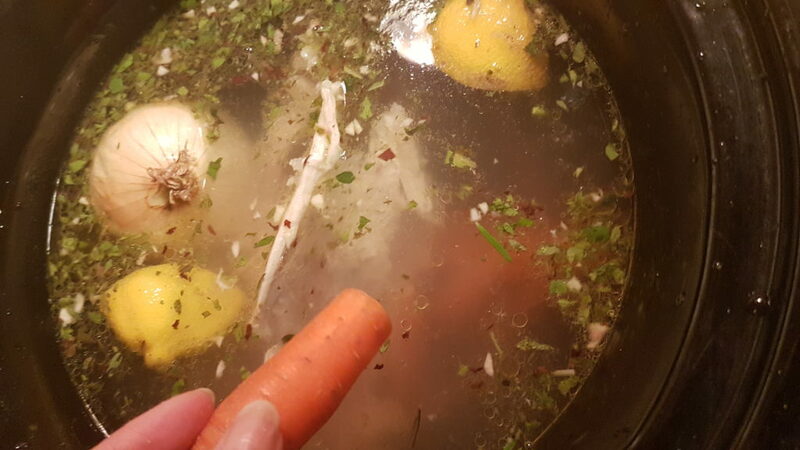 The broth I then strained the next day, and will use it to make rice and quinoa, as liquid for stir frying, in sauces and marinades, soups, and if I don’t use it I freeze it for later. 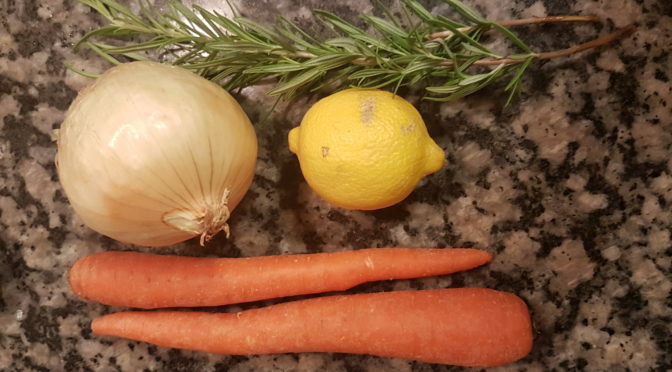 All you do is toss into a crock pot: the carcass of a chicken, 1 whole onion (skin and all), one lemon (or a few tbsp lemon juice or vinegar), a few carrots and herbs & spices. I use black pepper, garlic salt, bay leaves, and any fresh herbs growing (right now it’s sage, thyme, and rosemary). 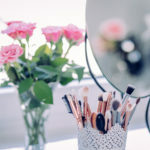 Such a great frugal habit, you should consider trying it! 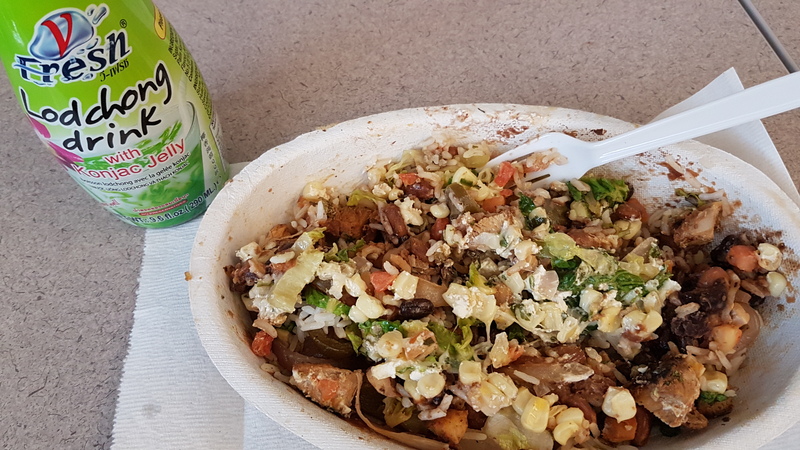 Lunch – the final serving of my Chipotle bowl. I got 3 meals out of it, for <$3 per serving! I also had a weird Asian drink, we went to an Asian market over the weekend and each picked out one crazy beverage. All I can say is HOLY SUGAR…. 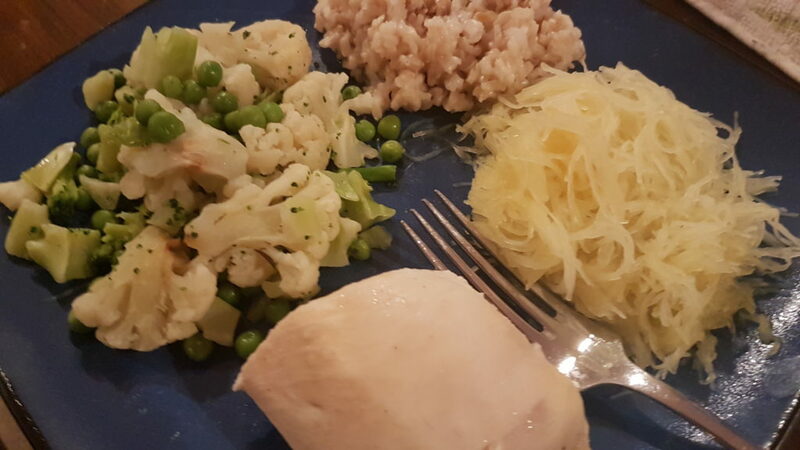 Dinner – baked chicken breast, steamed broccoli & cauliflower, steamed spaghetti squash, and brown rice. Snack – ice cream sandwich at a colleagues going-away party! We will miss him & wish him the best of luck in Cali. 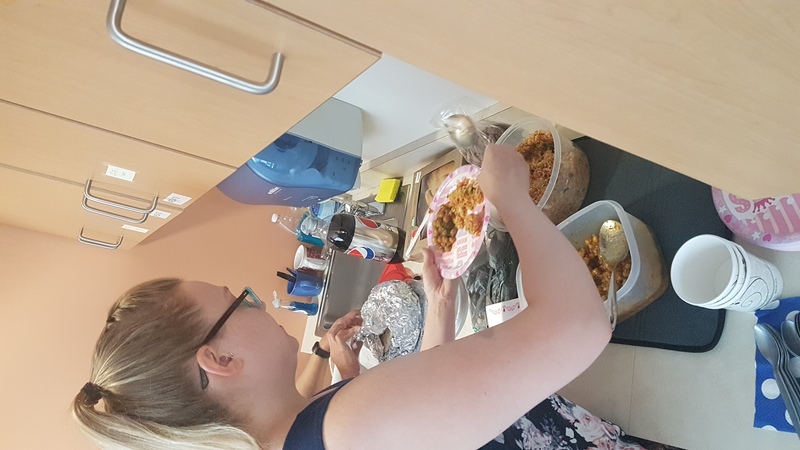 Lunch – someone brought in homemade Indian food for a coworkers birthday and it was divine! Cashew chickpea curry, tri-color rice, and homemade naan. MMmmmmmmmmm. 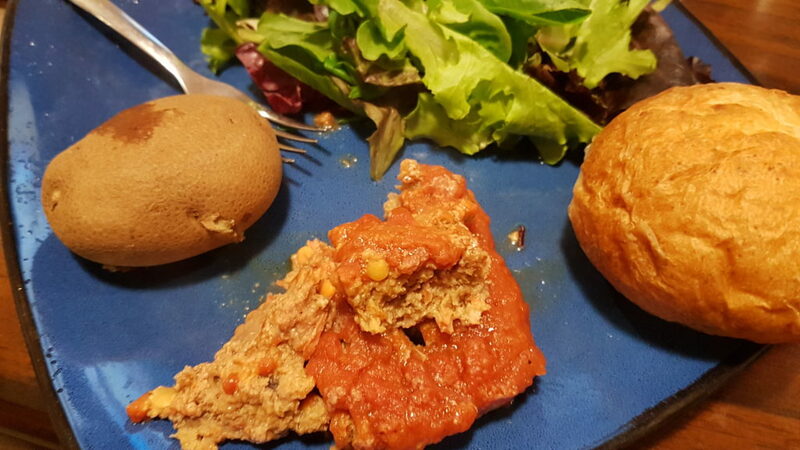 Dinner – Meatloaf (a freezer meal), baked potatoes, salad & dinner rolls. Made with half turkey and half lentils, so it’s extra healthy. 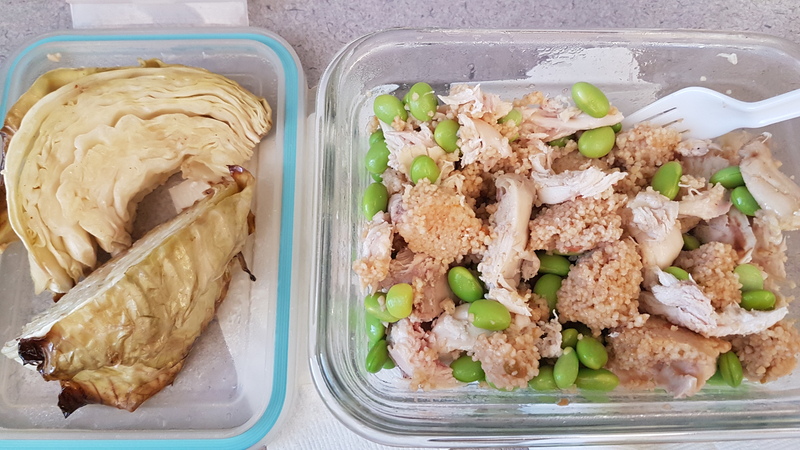 Lunch – Chicken, couscous & edamame, roasted cabbage quarters. 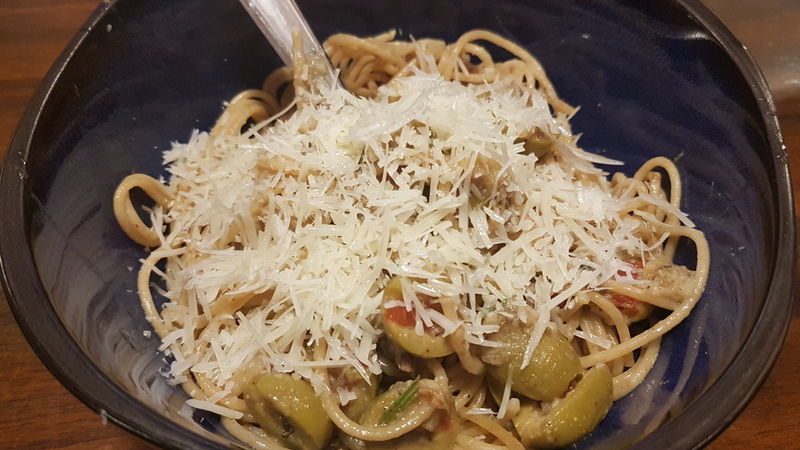 Dinner – Lemon, garlic, & white wine pasta with sardines! 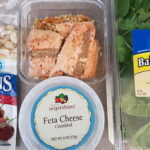 This was a crazy new recipe I tried because I had an open can of sardines in the refrigerator from the olive tapenade bruschetta last week. And it actually turned out pretty great! I’d make it again. 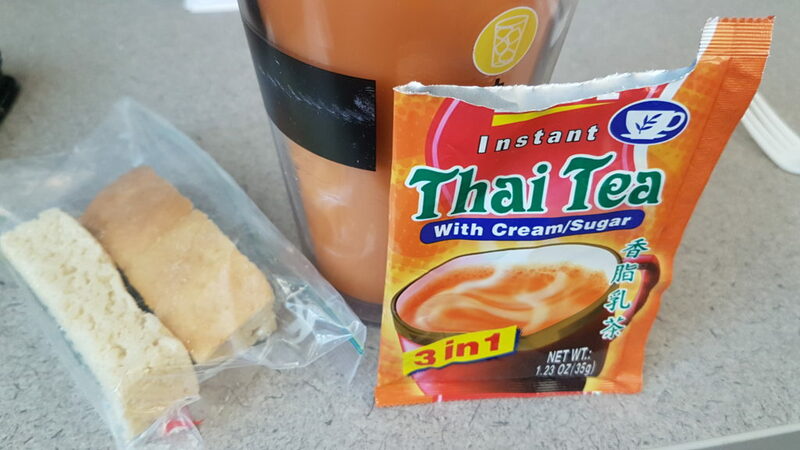 Snack – 2 vanilla “rusks” from a coworker and Thai tea. A rusk is like a biscotti, apparently, and is delicious. Thai tea is a black tea with sugar and cream and is also super tasty! Also purchased at last weekend’s Asian mart adventure. 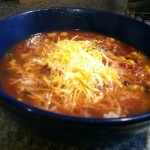 Lunch – Chicken tortilla soup, a baked potato & a salad. 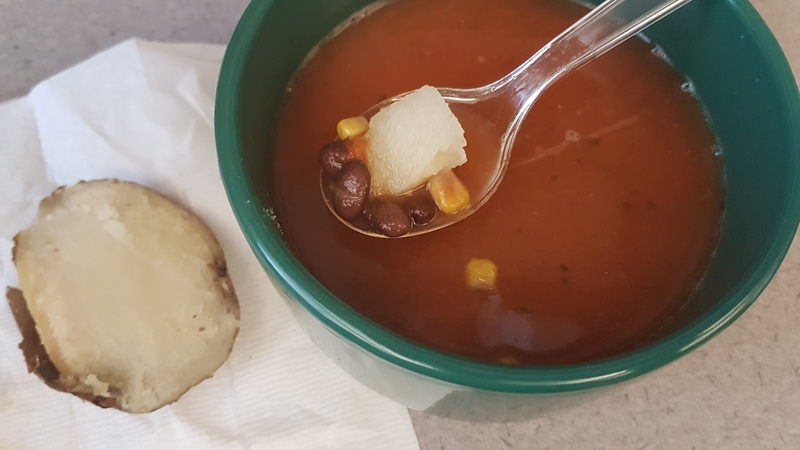 I just chopped up the potato and put it into the soup. 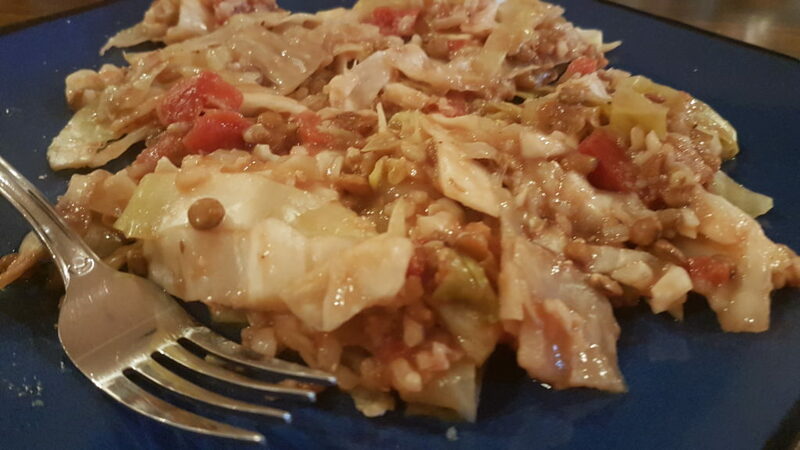 Dinner – Stuffed cabbage casserole & salad. Clearly we are trying to eat more leafy greens. 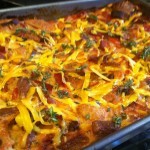 Also, this casserole is insanely cheap when you use lentils rather than ground meat. I came up with it when I did the SNAP challenge, trying to eat on $4 per day. Snack – 2 pieces of chocolate from Vermont a friend brought me from a trip. They were so good! Breakfast – Avocado toast. I know, you’re thinking “typical millennial”, but honestly it is less than a dollar to make at home. 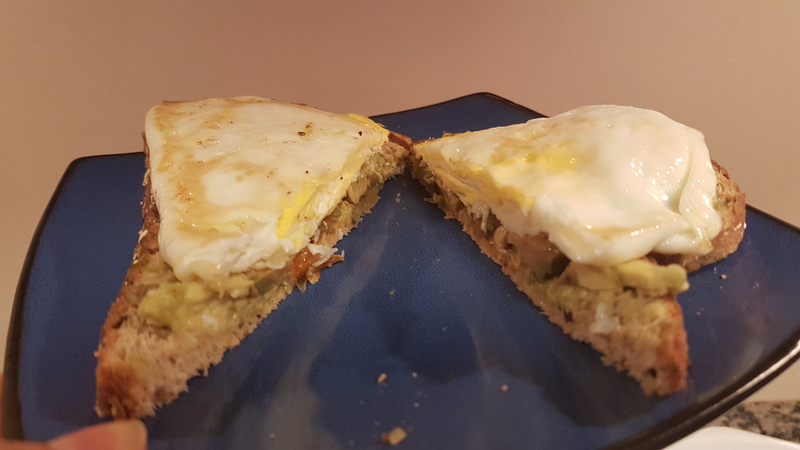 Half of one avocado (.50) + slice of bread (~0.10), and I even added an egg, so maybe it was $1 total. 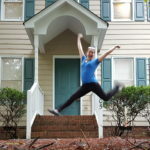 Plus we already own our home, so that myth is debunked. 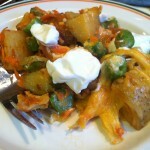 Lunch – More stuffed cabbage casserole. 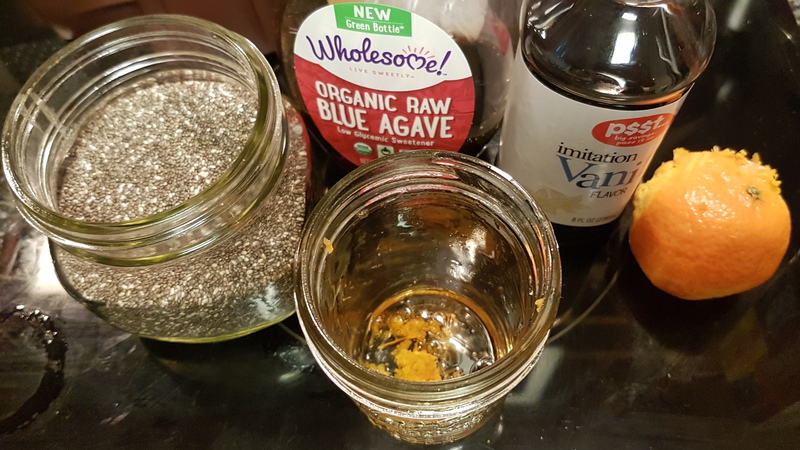 This is super filling, healthy, and made a huge batch. So you will probably see more of this next week for lunches. 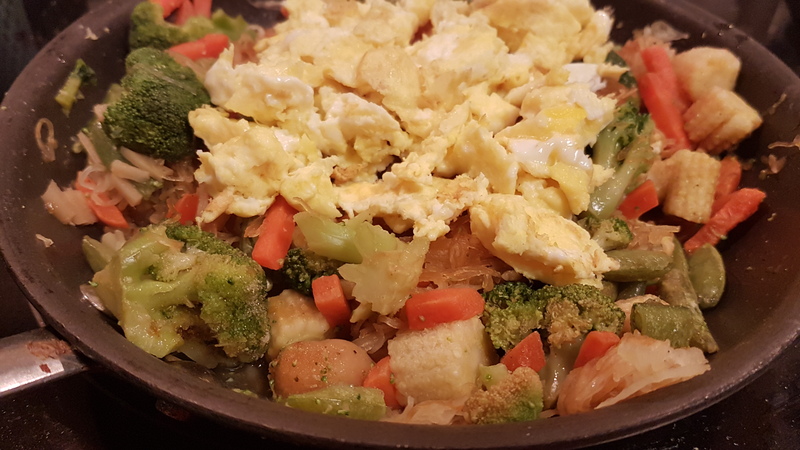 Dinner – Stir Friday! Lo mein noodles from spaghetti squash (I roasted a whole big batch of things last weekend), a bag of frozen mixed Asian veggies I had in the freezer, scrambled eggs, and some soy sauce. Easy, breezy, vegetarian and delicious! 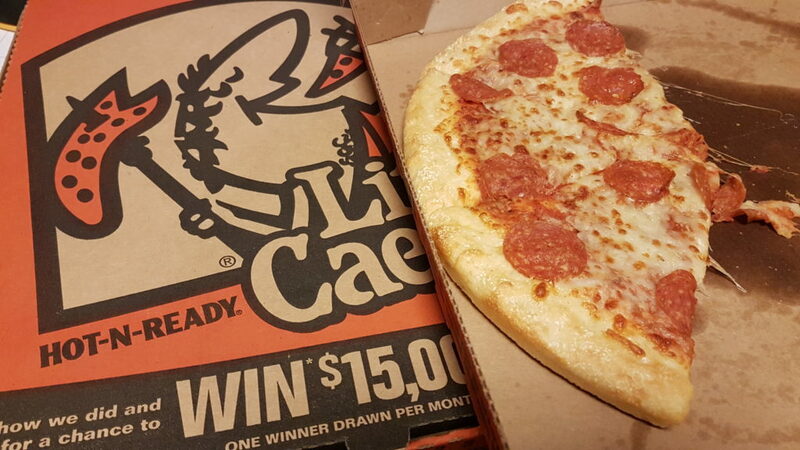 Well, we had to do some adulting and chores, so while we were out and about we ended up getting 2 Little Caesar’s hot-n-ready pepperoni pizzas. Ahhh, feels like college again. I know, I know, they are horrible for you. But life is about balance, k? And now I know there’s food the hubs is willing to eat in the fridge. At least until Monday, cause he will eat a whole pizza in one day. 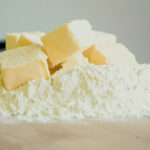 I’m also going to spend some time this weekend making things for the next Bull City Food Swap on Tuesday! Oh, and Monday is a potluck for the Solar Eclipse at work. I’m the head organizer, so I made cute decorations, and will be setting up & then cleaning up. 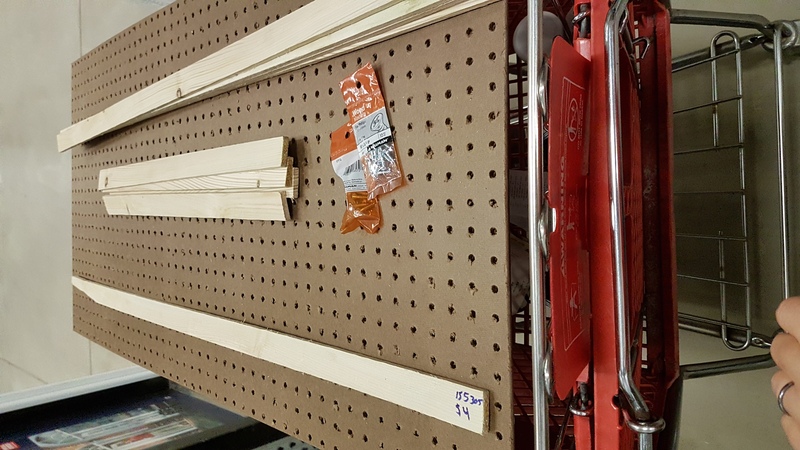 We’ve also got a frugal project planned. 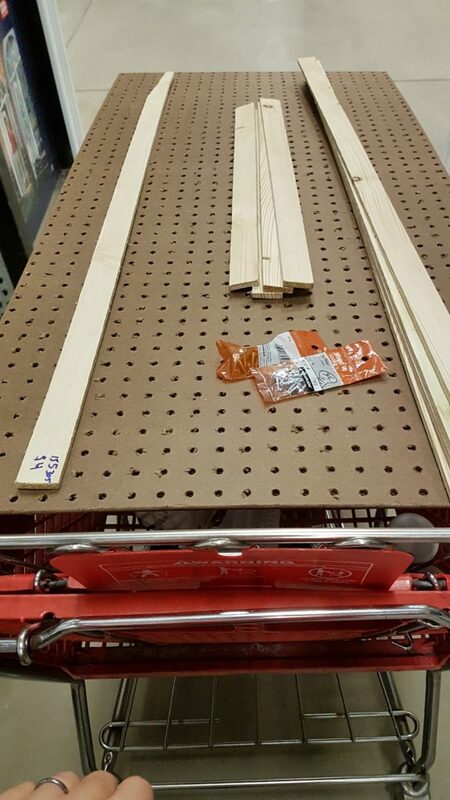 I want a pegboard in the kitchen, because we have one large unused wall space. I want to hang pots and pans and maybe some decor, to save limited cabinet space for appliances. 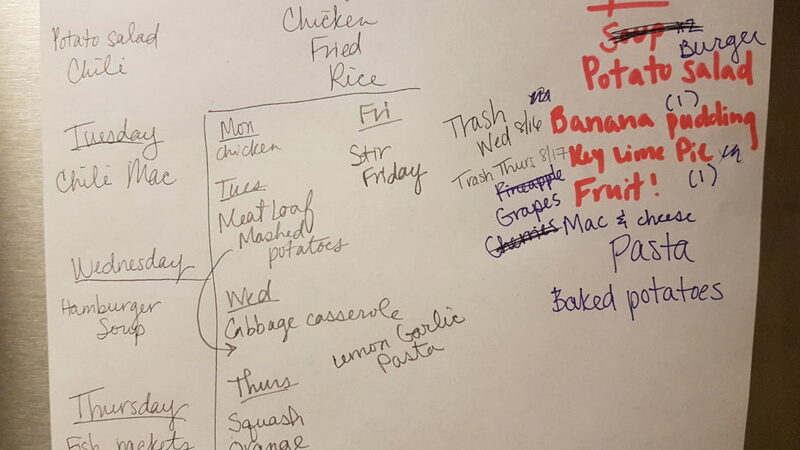 I’m also planning to put in a big whiteboard, which will be a nice meal planning upgrade from papers taped to the fridge… and shelves for knickknacks, jars of ingredients like flour and sugar, and maybe some herbs as well. 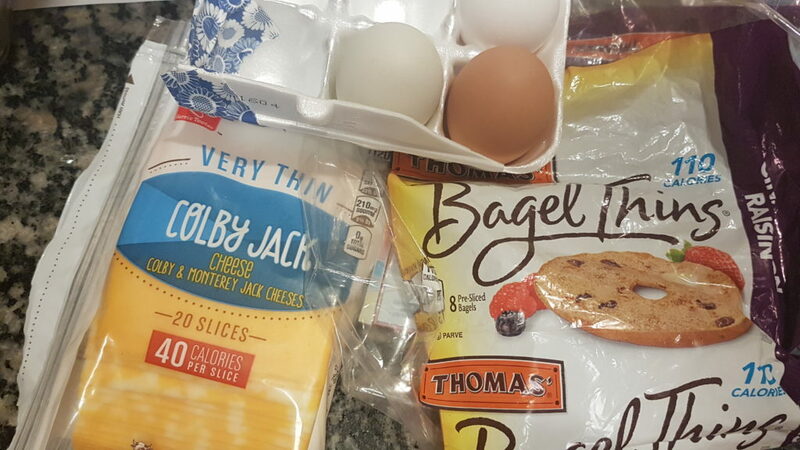 I’m pretty excited that even with 2 pizzas, 2 grocery trips, and a food swap and potluck to prep for, this week’s food spending was below budget. Aw yessss. Eating vegetable based meals really does save money! By making the stuffed cabbage casserole, and enough to last a long time, and the stir fry from spaghetti squash, I made about 10 meals worth of food for less than $10! That’s what I need to do more often to keep our grocery food costs down. Rice & beans is on the meal plan for next week! Speaking of meal plan, this week was a little bit silly. 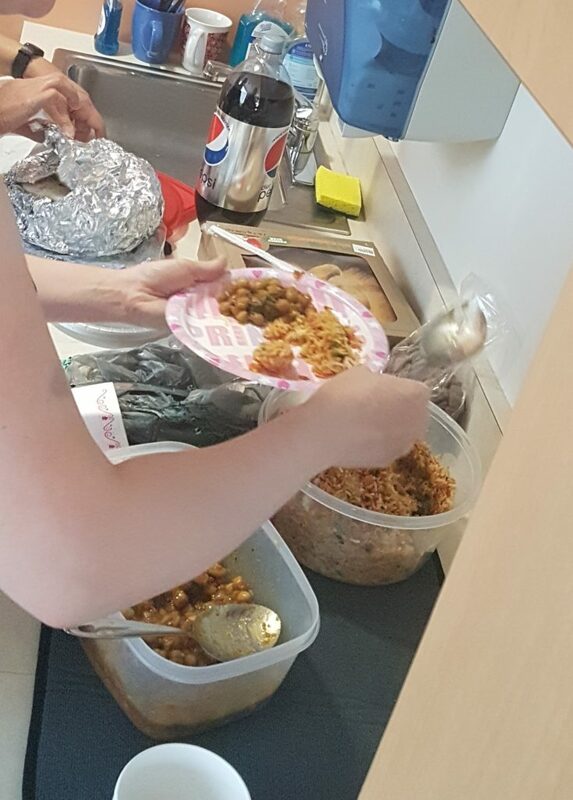 I had a general plan, but we ended up shuffling the meals around all over the place based on what sounded good at the time. And that’s ok! The beauty of a meal plan is that it can be flexible. 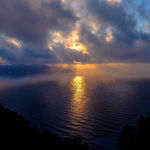 It has to be flexible, to keep up with all the twists and turns of life. And I learned that no matter how much I wish it were so, I will never turn the hubs into a soup lover. 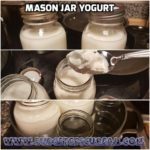 I know soup is an AMAZING money saving food option, because it is mostly water, and you can add anything you have to get rid of in the fridge or pantry. But he just can’t handle soup more than once per week at most, so I usually end up having to eat it all, or freeze it to be ‘not-eaten’ at a later date. Bummer, but facts are facts and even cheap food is a waste of money if it doesn’t get eaten.